Lately we have seen more and more people and businesses wishing to create their own website, or at least take the content part into their own hands and that is a good development. The good development is that owners are now pushing for “webmaster” independence, however some go overboard by thinking they can create the site in its totality. The reasons for this is that many CMS (content management systems) skeletons or footprints are free, they wonder how they can eliminate the webmaster cost. That is an unfortunate thought process. The meaning of “FREE” is that the basic skeleton is free, but not that business owners have become webmasters overnight in that same “Free CMS package”. Unfortunately, free is associated with “simple”. “If something is free, it can’t be that difficult” we have heard on several occasions. CMS systems, although powerful, are still just a skeleton and in 99% of the cases customization is required to suit their business and personal needs. These free systems are created by very dedicated web and techy “volunteers” but don’t think that they do this all for the love of God and mankind. There is a huge amount of money to be made in creating something that is “Free” when it becomes successful. Give something away for free and get tons of new business in other ways, like creating templates, customizing websites to suit user’s needs, adding special features. Sounds familiar? Well the same goes for Free CMS systems. However it is true that many of these systems have eliminated the “start from scratch” costs and more importantly are build on the merit that site owners can maintain the content of their website, with a little training, themselves. Some of the newest content management systems are now using a drag and drop set up. That is an excellent development. Below are facts and fictions about the real costs of customizing a “FREE” CMS website skeleton from start to finish. 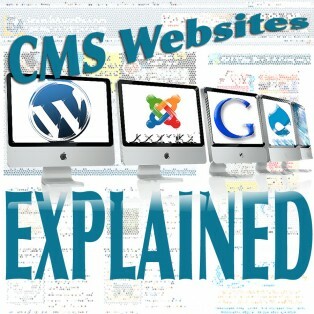 Well, CMS stands for Content Management Systems. Nowadays, most meaningful websites use CMS because it is dynamic and allows you to add-on features that with standard websites (static) are simply not possible. Also Content Management Systems allow you, the owner of the web site, the power of control over the content. Why is that important? The essential Power of controlling the content of your website means that if you know how to type good content, and have access to the administrator back end of your website, you are in business to control your own content. 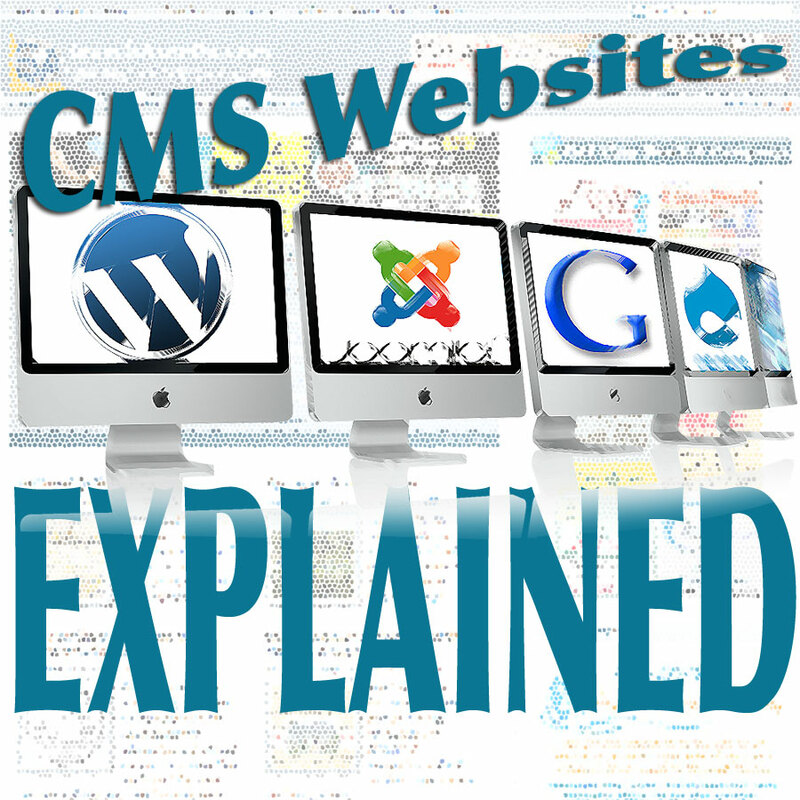 What are CMS system based websites? enterprise CMS (ECMS) – These systems tend to be for internal web based content management but may have a “public publishing” section maintained via the internal Content Management System. Web CMS (WCMS) – WCMS allows non-technical users to make changes to an existing website with little or no training. A WCMS typically requires an experienced coder to set up and add features, but is primarily a Web-site maintenance tool for non-technical administrators. Component CMS (CCMS) – manage content at a granular level (component) rather than at the document level. Each component represents a single topic, concept or asset (e.g., image, table, product description). Components are assembled into multiple content assemblies (content types) and can be viewed as components or as traditional documents. The granular approach is the most uncommon of the CMS systems since the maintenance and implementation level requires substantial web savvy knowledge. In 95% of all cases at the starting point of a Content Management System is the web based WCMS although we will see some major shifts towards Mobile CMS in the very near future. There are two kinds of Web CMS (WCMS) based “footprints” one is the Free Footprint and the other is the Custom CMS system (most certainly NOT free). The custom CMS websites tend to be build majorly on Windows aspx and .Net, Cold Fusion, Dreamweaver and WebDav and other rather expensive custom core building software. Anything that is custom build has a hefty price tag to it while most of them don’t even perform much better than the “customized free footprint or skeleton”. Most custom implementation CMS we see at corporate levels such as CNN, Yahoo, MSN, Microsoft, Apple and many more. To build these type of core CMS footprint websites start at 6 figures and mostly run into 7 and 8 figure developments. Joomla (most popular CMS system with the widest community support add-ons and features). Although the core Joomla “footprint” is free, most of the new components and modules that extend particular fuctionality are in one way or another (either via direct charge or via indirect support service change) paid add-ons. Drupal is another CMS system but truth be told that Drupal uses “Ancient and slowly disappearing Perl code” although it is a very robust system, the support community is not as active as Joomla nor are there as many different add-ons. Drupal is moving over to PHP in its latest versions however a switch from the old version to the new PHP driven version seems to be problematic and thus Drupal supports both systems. Be aware as with Joomla, at a certain point the older version will not be supported anymore. Typo 3 – Is a niche market player in the free section of the CMS footprints. Typo3 has some die hard followers that are trying to keep it alive and actually has some nifty implementations but is sorely lacking community component and module support. Mambo – Mambo CMS was the “mother” of Joomla but due to licensing conflicts Joomla has split off from mambo some 3 years ago. Mambo is slowly loosing its foothold to Joomla and a recent rumor has it that the project may get canned. Editor’s Note: Mambo is canned! Then there are a whole range of others such as Bloxum, PHP Nuke (also dying out), Bricolage, PHP-Fusion, Magnolia, Habari, Frog CMS, Nucleus, Opus and others who have their followers but never made it over the “hump” of mainstream. WordPress – Undisputed leader with an extremely large following as well was a very active widget and plug-in development community. WordPress is even nibbling at the Joomla door as it is rapidly developing into more than just blogging software. For the Newbie and aspiring website builder, wordpress is the choice. However do not underestimate the real power and technical knowledge necessary to lift wordpress beyond a blogging system. Movable type – is most certainly a worthy contender to WordPress, however it has two drawbacks. One it is build on Perl with Fast-CGI which makes it much more vulnerable to hack attacks and the second is that the community, although large, is not as active in building custom plug-ins (special programs that run within the website to provide/execute specific tasks). Movable type has some very neat features so it is most certainly worthwhile checking out. blog:CMS – A split-off of Nucleus XA and now called CushyCMS is a “hobbyist” blog site as it is very easy to set-up and maintain. It is very limited but for casual blogging purposes quite impressive. Question will be if the developers can maintain on a longer term sustainability? Now, don’t be fooled that without any experience you can build a masterpiece in any of these CMS systems. They all have their intricacies and you should see them as a choice of platform that the professional needs to work from and turn over the “Content Key” upon completion to you, the site owner. That is the real power and meaning of a Content Management System. So what does it cost to build a fully functional website based on a WCMS by a professional? Most importantly is selecting an appropriate domain name (Website name). This is not very expensive, usually it’s standard, varying between $10-20/year. Your domain name should be very easy to remember and have meaning to search engines, the choices are your company name or an easy-to-remember name. The first one is usually chosen by companies, the second one is chosen when someone wishes to have better page ranking. We suggest to secure both the company related domain name and one or more service or product oriented domain names and using those as redirection sites. This improves the chances of people searching for your product or service. Most CMS packages have a few templates, and most of the time these are not appropriate for a company or a high quality site. It is easy to recognize that the design is a one of the default templates. Luckily there are literally thousands of templates either free or for a small fee available. The prices vary between $50 and 200 (Rocket themes, Studio Press, Hybrid Themes, WOO Themes and many others). This way you can choose from thousands of templates, however be aware that templates are skeleton bound and must be compatible with the chosen CMS system (joomla templates are for joomla and wordpress templates are for wordpress and cannot be interchanged). A other elegant solution could be to ask a web firm to custom make you a template for your company or personal use. You can have a good looking design for $200-500, ready for your preferred CMS system. However do not confuse the creation of a template with building a website. It is not the same. The template is only the visual aspect of your site and not specific to functionality. That is a whole different “beast”. Your standard bought or custom designed template will have to be integrated to the selected CMS. This can take anywhere from 2 to 3 hours, however based on functionality this may take several days. When selecting the CMS, one should also consider its implications. Show the chosen design (before buying it) to the person who will be applying it into (X)HTML/CSS, and ask whether it is possible to apply it into the selected CMS. The prices vary between $100-500, depending on how many modification and functionality pages will have to be made. This cost can run higher depending on the functionality of the CMS and custom creation based on the selected template, for individual section of the CMS website. One of the most important facets that should be considered upfront, is to make sure that the selected CMS software (Joomla, Drupal, WordPress, etc) has all the requirements you need. If not, it will be difficult to find an add-on to adhere to the requirements. The admin page may seem the choice for the client’s purpose but the add-on requirements may be missing and as such can drive the price tag up considerably if it has to be custom coded. Needless to mention that NOTHING is FREE (although the core application may be free), everything has its price, especially the time that is spent. It is far more efficient to first outline what you expect the CMS site to do, what functionality you desire or must have before selecting a CMS. Consult your webmaster in any case before making the CMS choice, template selection and add-on selections before spending time and money. I consider this as a hidden but highly necessary expense. When choosing a CMS system, we need to be aware that training and manual support will need to be prepared. This means time and resources are involved. It can take 4 hours for an experienced end user training while complete un-savvy owners may take up to 3 days of training. Once a client has chosen the CMS platform, the template and the functionality, only then can be determined what the training will entail. This is a cost that we web developers are aware of, but most site owners tend to ignore the need of maintenance resulting abandonment of the site due to lack of administration updating. Almost 50% 80% of the sites end up being abandoned after some time. If the site is not being updated, owners often move to the next developer to have a new website build. New and upgraded versions of the CMS system are released within regular intervals of 4-6 months while plug-ins, add-ons and components are released at an even higher frequency. These updates and new versions will have to be updated regularly, because if not, the web site will run into a dead-end within a year or two and updating a two year neglected site is, most of the time, more costly than starting from scratch. Most site owners do not realize this and thus wave a monthly maintenance to their own detriment and then after a year or two they blame their site’s outdatedness on the web master. A website is like a car that needs regular tuning and if you don’t at some point your car will end up on the side of the road with mechanical problems. Same with a website although the frequency of updating is much higher than a car maintenance. Just think of the need to fight-off hacker attacks, spam filtering updates and other highly necessary tweaking to keep your site running smoothly. Sites won’t develop recognition on their own, they need to be promoted through different marketing methods. Here we need to mention that if the CMS is well chosen, it can do half of the marketing on its own, if it has good URL optimization, Title Tags, Meta Tags and a more or less XHTML compliant template, your search engine marketing is already heading in a good direction. Page ranking problems will occur when websites miss any of the elements mentioned. Compliancy, metatags, image tags, title tags and URL optimization are aspects that must be considered with all websites, not CMS systems alone. This pricetag varies depending on the “roll-out” and maintenance SEO/SEM desired by the customer. If we look at the costs mentioned above, it might seem expensive, however if you compare it to a static brochure that annually has to be re-printed, mailed out, otherwise distributed and exibited at tradeshows, the website is much less expensive, much more powerful and can be adjusted by the customer with the “content key”. Nonetheless we still advise you to consult an expert, before making any decisions, as it can save you a lot of money, time, and headaches. Overall we recommend, based on your specific CMS requirements, Joomla or WordPress because both will provide the best flexible approach as well as the easiest Client Management systems (you control your content). We must also note here that CMS (Content Management System) is just that – it is not the complete site with forum capabilities, custom database design for wishlist, mailing automation, membership components, payment gateway integration, booking engines, inventory management and e-commerce storefront implementation. Each of these will mostly require a custom consultation and quotation. SearchAmelia offers free consultation and current website evaluation. So send us an e-mail and we’ll evaluate your current and future needs. There are many types of CMS but the most popular among them is the WordPress, Joomla, and Drupal. WordPress CMS is one of the best!! Apparently you are a very mistaken individual. First of all we have chosen WordPress for its many advantages in maintaining, ranking and updating a website. Second the template we choose is based on the customer profile, sometimes it’s a free template that we adjust to fit the customer’s needs, and sometimes we use templates that are charged for. With free templates we always pay the template developer a donation, as is good practice. When was the last time you did that? As you also should know, to customize a template, which is comparatively only the foundation, walls and roof of a house, we go in and apply plug inns and widgets to add functionality;some of them free, some at a cost. We don’t SELL customized templates to our customers, we charge to build a functional internet presence, that they can fully maintain themselves. In addition our strict policy is that customers, with our help if needed, register there own domain names and purchase the web hosting. Currently that is $47.40 for one year domain registration plus hosting, which they pay, as to have no confusion about ownership of the domain name. We have had too many clients come through our doors complaining that their previous “web person” took possession of their domain name, with no recourse to get it back. Lastly, we offer clients the option to purchase a complete website or break down the cost in monthly installments, because we consider a website a business tool that you can lease/purchase as a company expense. And your remark about The Planet Connection is completely off the wall. We don’t use that service. Thanks for giving me the opportunity to explain why there are so many rip off artists in the website building business. Might you be one of them? Wow $100 to get hosted on a The Planet connection? Talk about a huge freaking rip off.